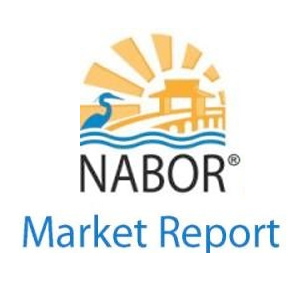 Park Shore single family homes are some of the most sought after properties in South West Florida, with both inland and waterfront homes as an option. Park Shore real estate offers luxury living at its finest. Park Shore single family homes are best for those with refined taste and a love of the water or simply a Venetian Bay view waterfront property. This newly constructed Park Shore Luxury homes for sale is an exceptional family home completed in mid of 2016. This newly constructed contemporary waterfront single family home is offering a spectacular southwestern view of the Venetian Bay. It features a smooth custom finishes such as Calcutta marble counter tops with wide plank white oak floors. On its spacious 5173 square feet of livable area, it has 5 bedrooms plus a den, 5 bathrooms and 1 partial bath. Master bath features a dual sinks, Jetted tub, multiple shower heads, separate tub and shower. This free-flowing open floor plan offers a kitchen opening seamlessly to the great room and outdoor living space. Appliances are featured throughout the home; auto garage doors, dishwasher, disposal, grill gas, microwave, range, refrigerator, security system, wine cooler and a lot more. Interior contemporary finishes complements the craftsmanship of the property. The lanai or even the poolside is great for picnic as the property has a built-in grill, outdoor kitchen and fireplace. The attached garage can accommodate up to 3 cars. The gas heated ground pool with integrated spa gives you a sparkling experience. Since the house is located in a boating community, this gives you the opportunity to experience water activities such as boating, skiing and alike. 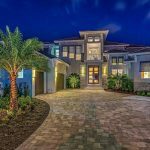 Ideally this Park Shore Luxury homes for sale is just a few moments from the Seagate Dr. beach and a short way to the fabulous shopping and dining at both Venetian Village and Waterside Shops, this home is the epitome of convenience and luxury. Park Shore community provides an unbeatable beach front lifestyle; the enjoyable and relaxing life, everyone could dream of. 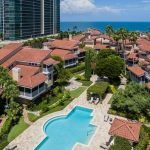 Park Shore is well known for its white sandy beaches and its impressive private Gulf side boardwalk and the expensive shopping and dining destination called Venetian Village. Park Shore offers single homes, high rises, low rises and condos between US 41 and the Gulf of Mexico. At Park Shore, guests can enjoy a number of amenities, including a private heated pool, outdoor Jacuzzi, cobblestone walkways, BBQ grills, racquetball courts, tennis courts, and movie theaters and games rentals. 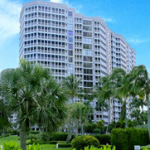 The community of Park Shore provides an exceptional beach front lifestyle. You can relax in the comfort of your contemporary suite, and enjoy tropical views from your private balcony or lanai. At the beach you can enjoy fresh seafood and tropic cocktails, take pleasure in beach activities like boating, skiing, go for site seeing trip to the gulf or to the bay. 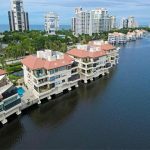 Owning a Park Shore luxury homes for sale will give you all the opportunity to enjoy the luxury and great tropical scene of Park Shore, Naples.